Furniture is the most important element in décor, and often times the most expensive. That is why you need to do your research before you buy. Choosing a piece of furniture should not be a decision based on aesthetics alone, but on functionality and durability as well. Furniture stores in UAE might be varied and plentiful, but which of them offer the best products in terms of quality? Sometimes, the more stores available in a given country the more confused consumers get. Are the most expensive furniture stores the best? Are the furniture stores with the most branches? Are well-known brands? If you happen to be looking for furniture in UAE you might find yourself facing this dilemma. Which are the best furniture stores in UAE? So we have tried to help you here and do your research for you. Based on extensive research and customer reviews, these are the best furniture stores in UAE. 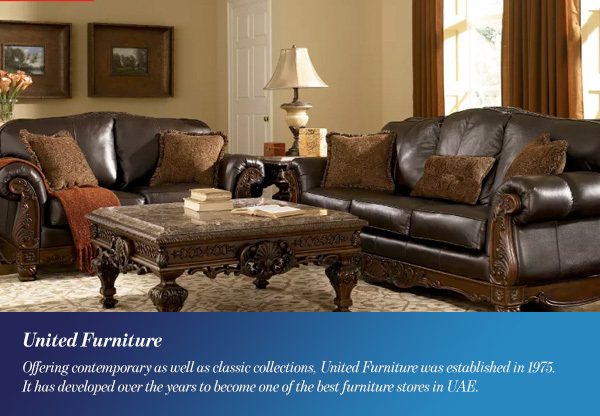 Offering contemporary as well as classic collections, United Furniture was established in 1975. It has developed over the years to become one of the best furniture stores in UAE. A various collection of home furniture, office furniture in addition to all sorts of home accessories and furnishings is usually available in United Furniture. The brand sources products from all over the world with the main focus on quality. All their products are stylish, durable and affordable. More often than not, the store features some unique limited collections, so make sure you check those. United Furniture guarantees a great customer service for every client with a highly qualified staff team that focuses on giving a personalized experience to every client. Currently, the extensive furniture store has got three branches in Dubai and two branches in Sharjah. With four brands across nine countries in the region, The One offers a unique shopping experience. The brand’s aim is to deliver quality luxurious furniture at reasonable prices. In-house designed home fashion including premium furniture and state of the art home accessories come at an excellent price in this store, the true meaning of value for money. 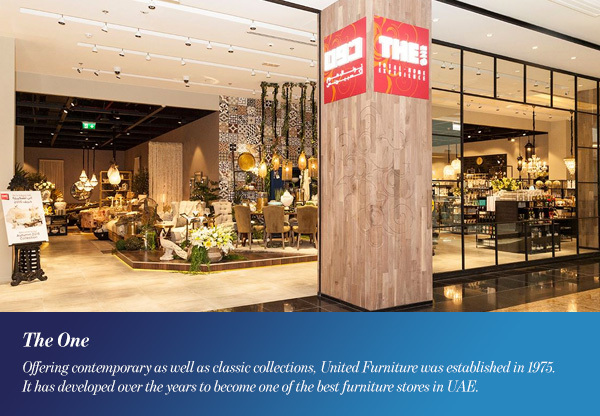 Since opening its first furniture store in UAE in Abu Dhabi in 1996, The One has grown over the years and currently feature fourteen furniture stores across the UAE. The other lines featured in the stores are THE One Junior, FUSION by THE One and THE One Basics. THE One Junior, as the name suggests, is the kids’ furniture line. THE One Junior offers everything you can ask for in a children’s room. Furniture and accessories made with the same quality in which all their products are made. FUSION by THE One is the brand that features high-end, daring furniture and accessories. The line motto is Exclusivity with an Attitude; it offers limited edition daring collections. THE One Basics is a cash-and-carry brand which offers bargain deals with a wide selection of low-cost furniture and accessories. Including specifically designed value products as well as discounted items from The One brand. All in all, The One offers quality, variety, and affordability, definitely one of the best furniture stores in UAE. 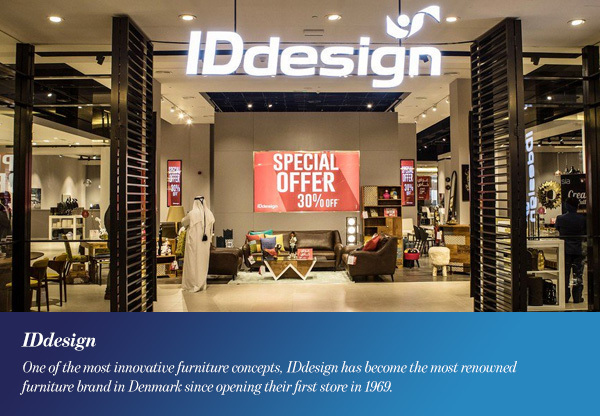 One of the most innovative furniture concepts, IDdesign has become the most renowned furniture brand in Denmark since opening its first store in 1969. The first IDdesign store to open in UAE was in 1995 in Dubai. The brand currently has three stores in Dubai and one in Abu Dhabi. IDdesign offers true Scandinavian furniture and accessories. Their original designs can easily be described as contemporary, simple and chic. And just as all Scandinavian concepts, IDdesign is renowned for its durable furniture. TRENDY FURNITURE LLC has been operating in UAE since 2007 as an exclusive dealer to the largest Turkish furniture giant M/s. Boydak Holdings who operates under the brand name ‘Istikbal. In order to cater to clients’ personalized needs and customized solutions, Trendy has established their own Carpentry in Al Quoz Dubai fully equipped to finish the intricate woodwork for Majlis, Villas and office furniture. The collaboration between both Istikbal and Trendy Furniture creates a quality of marvelous wood product joined with the high standards of Istikbal upholstered sofas and mattresses. The joined business is widespread among the hospitality sector; the two brands collaborate in making the best hotel, office and business furniture in the UAE. And of course, Istikbal offers perfect home furniture and accessories within its branches as well. Since 1968, Interiors has provided UAE homes with quality furniture. The company believes in family values and furniture made with love. As a result of extremely believing in what they do, the excellent craftsmen and team at Interiors offer home furniture and accessories with utmost quality. They specialize in classic furniture, beautifully carved and finished traditional wooden furniture with lush upholstery. Nonetheless, their extensive stores feature all sorts of first-class furniture from several global brands. Interiors also offer a varied selection of textile, as well as a design studio that offers interior design services fixated on creating your perfect home. 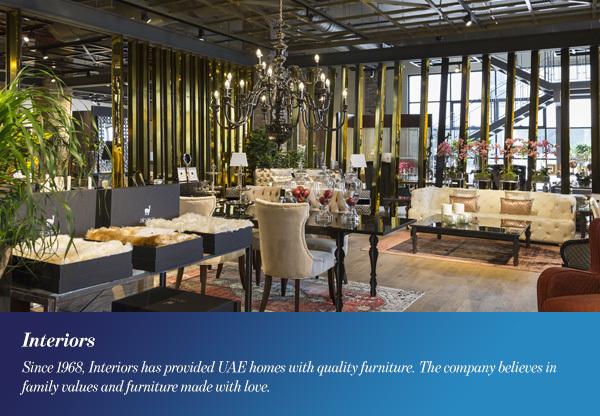 Interiors now offer their premium furniture across two branches in Dubai and one in Sharjah. 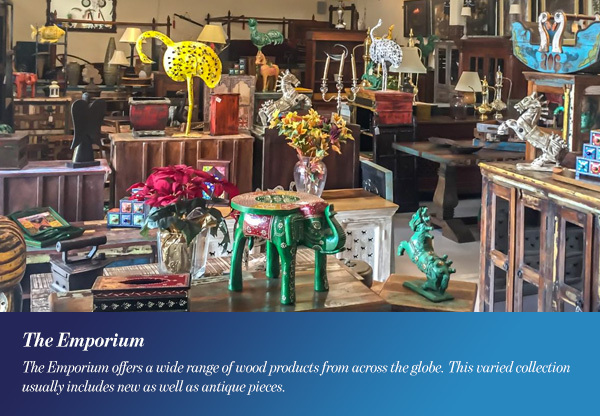 The Emporium offers a wide range of wood products from across the globe. This varied collection usually includes new as well as antique pieces. The cornucopia of furniture available at the store ranges from Industrial, Hand painted, Chinese, Indian, modern furniture, antique furniture, decorative items, and wooden home accessories. All the items available are handpicked by the professional team, and everything the store offers, both new and pre-loved, is of superior quality. The owners and their qualified staff check and buy the antiques themselves, to ensure the quality and durability. The new products, on the other hand, are made of solid wood and mostly imported from a factory in India. The Emporium loves their concept and furniture so much that they call pre-owned furniture pre-loved furniture. And truth be told, are their products are pretty lovable. Home Improvement Completely Transform Your Rental Without Actually Changing Anything!